Democracy Is A Farce. International Transparency Is A Farce. China, Please, Grow Up! The moving words of a father as he addresses his daughters upon the arrest of their mother, doing his best to calm their fears, reassure them and reaffirm his wife’s strength to get through her ordeal. This is from a letter Nelson Mandela wrote to his daughters, Zeni and Zindzi, aged nine and ten, dated 23 June 1969 after Winnie Mandela was arrested. This is the kind of heartfelt emotions and thoughts Mandela pours onto the pages throughout his different correspondents with his family members and friends as documented on the pages of Conversations With Myself. The letters reveal the agony of a father who feels helpless as his wife and children are continuously harassed and bullied by the apartheid government while he is behind bars, unable to fight for them. Nelson Mandela’s autobiography Long Walk To Freedom is one of the most popular books written by an African. To date, numerous biographies have been written about the man popularly known as Madiba. From the most recent Young Mandela, a sensational account by David James Smith to the critical study by Mary Benson in Nelson Mandela: The Man and The Movement. Why does the world need another book to tell us about one of the most written about man in recent history? “There are things that struck me, factual things about him as a person. We always suspected that he was a bit of a romantic and in these letters to his wife; one gets a better idea of how romantic he can be. Naturally, we couldn’t have known that because these are private letters to his wife, most of them not published before. So that comes as a bit of revelation and confirmation,” says Ahmed Kathrada, 81, a close and personal friend, who features in a lot of the conversations in the book. He served 26 years on Robben Island with Mr Mandela. Through his letters, we see a man who is not easily swayed by promises which do not agree with the fundamental principles the world has come to know and respect him for. “I have described him previously in an article and articles, that he is inscrutable. He doesn’t show his emotions. Whether it’s something sad or something important,” says Kathrda. He gives an example of their time in prison, when they all looked forward to Mandela being visited or called to the office by prison officials as that was one source of getting information from the outside world. He said in 1985, when President P. W. Botha, offered to release them, Mandela came back to the cells and was not flapped by the excitement of the news. To him it was just one of those things, especially when you take into account, the conditions attached to the offer. A point which is reinforced in a letter dated 27 December 1984 to his wife, as he clarifies his position to K D Matanznzima and the idea that they, the prisoners be released to Bantustan scheme, which would have meant black south Africans being foreigners in their own land. This article first appeared in the November 2010 edition of the New African Magazine. 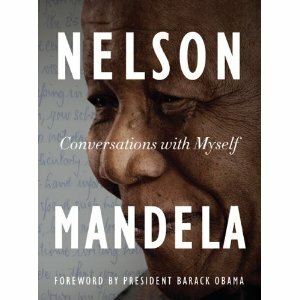 All Excerpts reproduced with the permission of the Nelson Mandela Foundation and PQ BlackWell, New Zealand. This entry was posted on Monday, December 6th, 2010 at 4:58 am	and is filed under Africa, Features, Journalism, People, Politics. You can follow any responses to this entry through the RSS 2.0 feed. You can leave a response, or trackback from your own site.